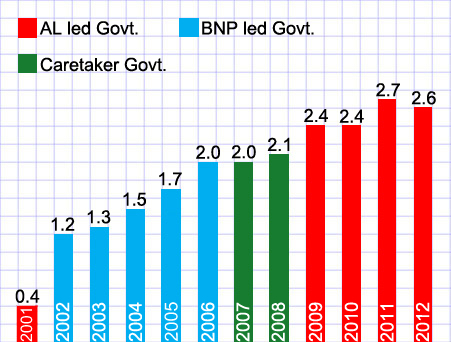 Posted on November 12, 2013 by baibars	in Awami League, BNP, Economy, Politics and tagged Featured, Slide. ← ঢাকা-নরসিংদী রুটের গাড়ি আজিমপুর গেল কেমনে? I think there is a mistake here. CPI of 2001 is mainly for the vast part of 2000. Therefore 2009 jump in CPI score is not due to AL’s good governance, rather it was an success of indication Caretaker Govt’s anti- corruption drive. 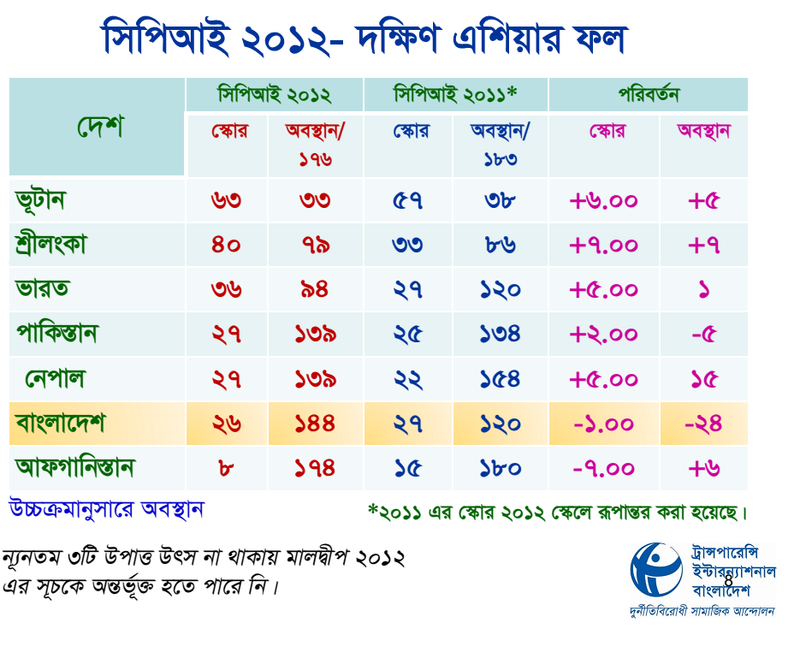 “However, with the score remaining below the threshold of 3, the country continues to be in the league of those where corruption continues to be pervasive,” said Transparency International Bangladesh (TIB) Executive Director Dr Iftekharuzzaman while presenting the CPI at Dhaka Reporters Unity. “The anti-corruption drive and institutional reforms made by the last caretaker government had an impact even after the political government came to power,” he said.